UkeFest at the Cultural Arts Center at Glen Allen | Night and Day | Style Weekly - Richmond, VA local news, arts, and events. The ukulele isn’t just a guitar that someone forgot to feed. Originating in the Hawaiian Islands and becoming popular in the United States in the 1950s and ’60s, the uke is experiencing a revival. The Cultural Arts Center at Glen Allen celebrates the instrument with UkeFest, a two-day festival of concerts, informal jams, workshops and open-mic opportunities. 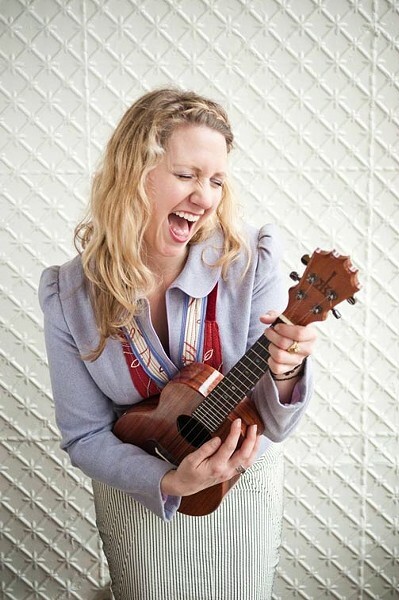 Concert guests include Cathy Fink, Gerald Ross, Aloha Boys and the Victoria Vox (pictured). For the kids, there’s also a ukulele petting zoo, where they can handle the instruments and maybe even learn a song. Strike a chord when UkeFest takes place at the Cultural Arts Center at Glen Allen, Friday, Nov. 2, from 7-11 p.m., and Saturday, Nov. 3, from 11 a.m.-11 p.m. $10-$15 per concert or workshop, or $65 for an all-inclusive pass. ukefestva.com.